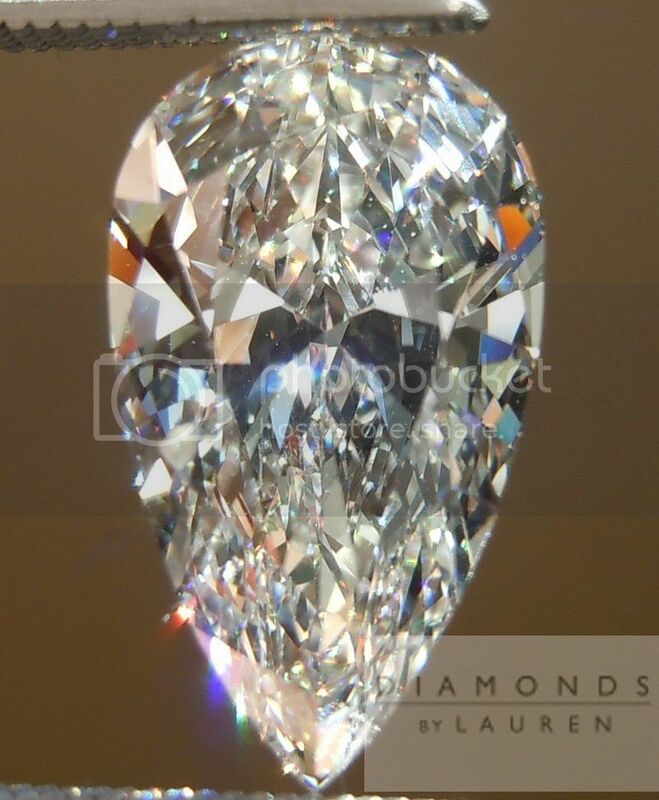 The diamonds we feature on Diamonds by Lauren are not available for viewing or purchase anywhere else on the web. 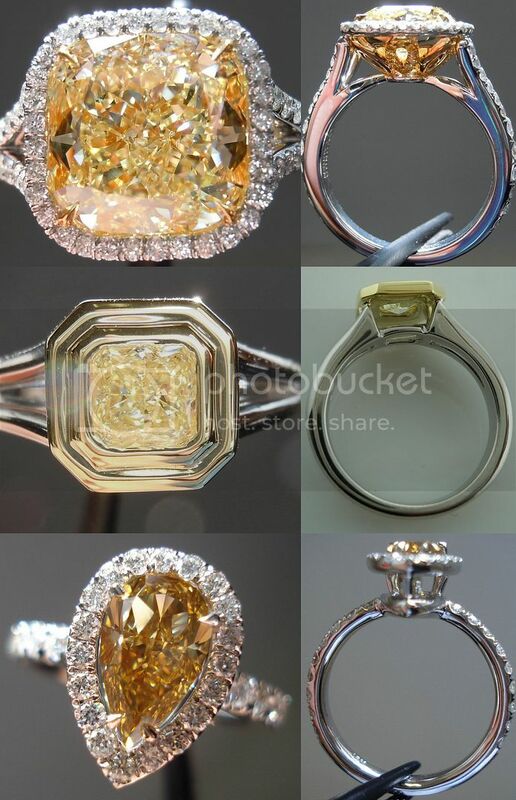 The reason is our strong relationships with some remarkable diamond cutters. 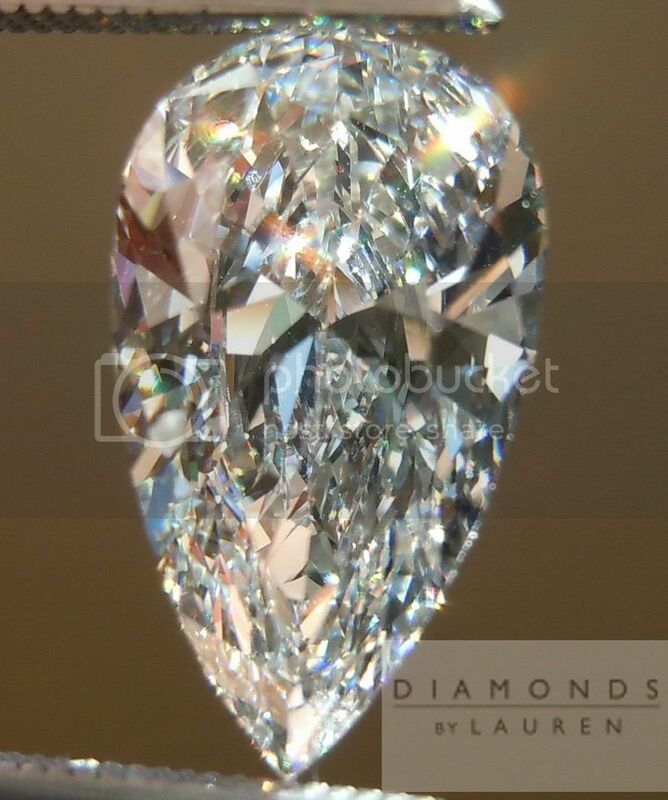 This is no average pear shape diamond - the cut is spectacular - if you like them cut like this. 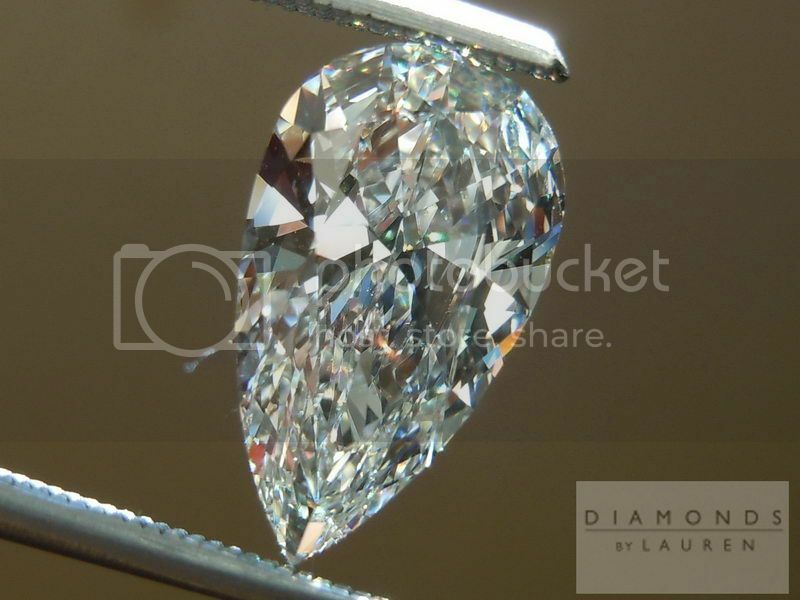 The diamond is a totally organic teardrop shape. In this case- it's a long drawn our tear- graceful. 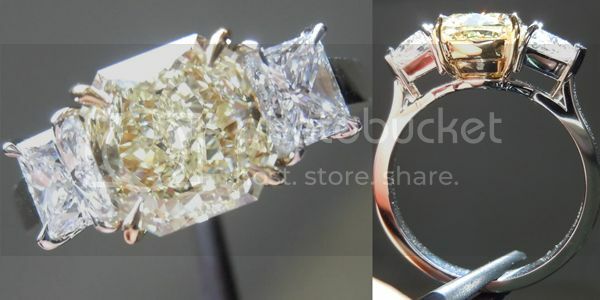 The cut is also spectacular for pear shape diamond lovers. 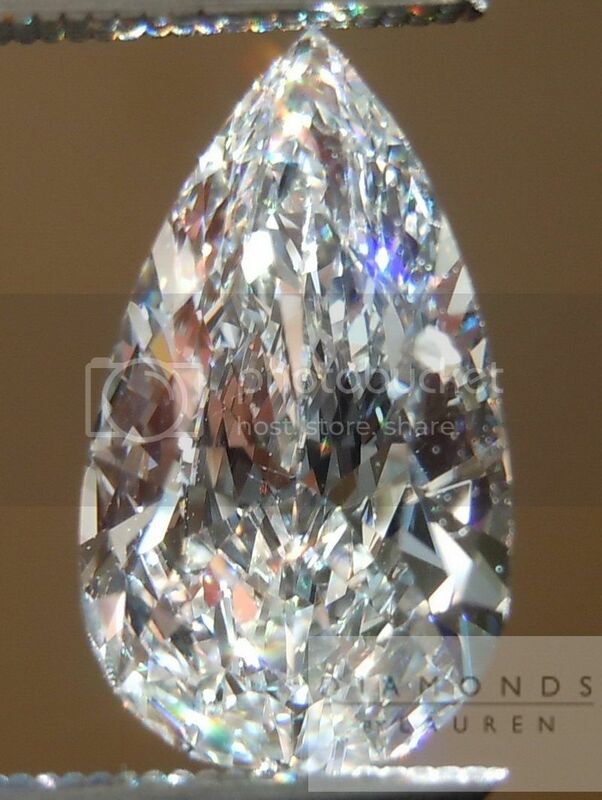 It's rare to see VG/VG on a pear shape diamond. 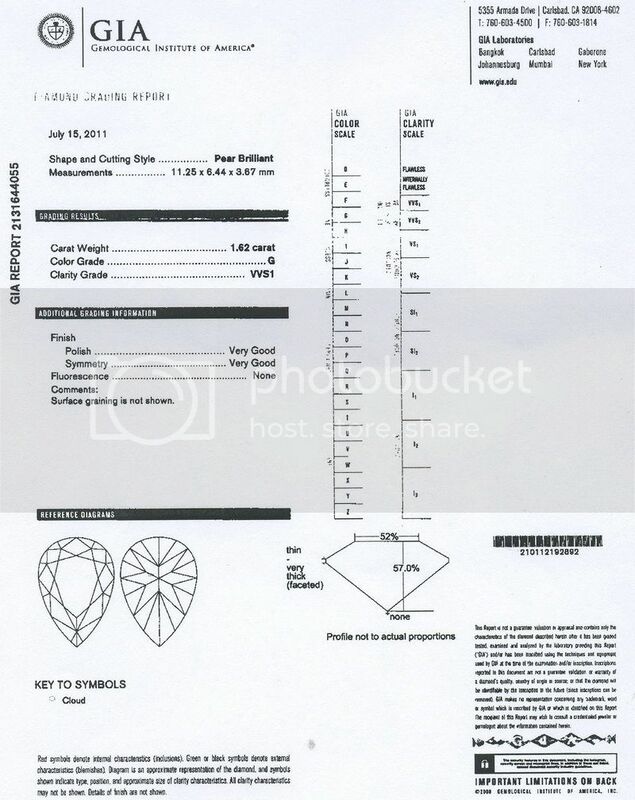 There is no negative "bow-tie" per se on this diamond either. A classic blindingly white pear shape like this one does have different areas you focus on - with different types of light return. 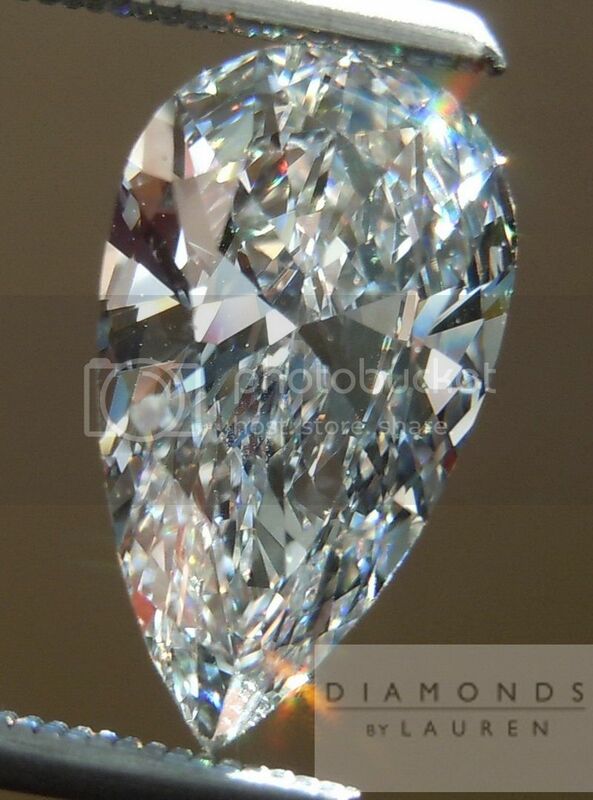 The diamond has great length 11.25mm is a pretty impressive size. 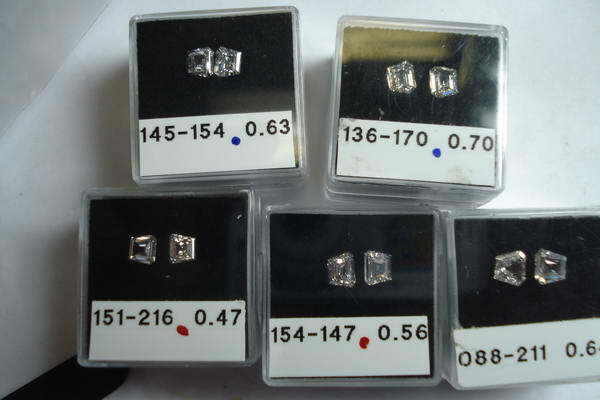 Looking at the diamond head on, point towards the floor: the "bottom 40%" of the diamond visually - the point- is all sparkle-ettes. 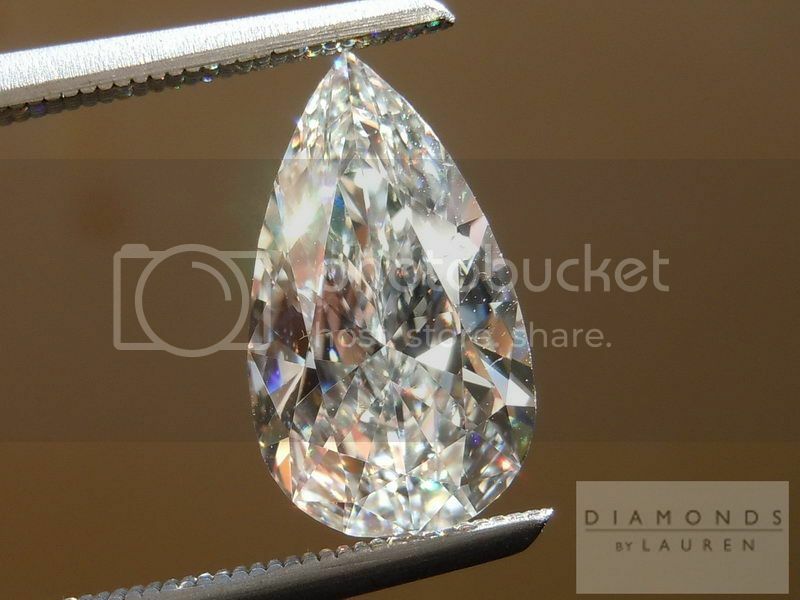 The middle 40% is the part above the culet - where the facets are widest on the bottom of the diamond- so you have much larger sparkles. The top 20% (rounded part) is where we have more of the small guys. Works very nicely together no dark areas. 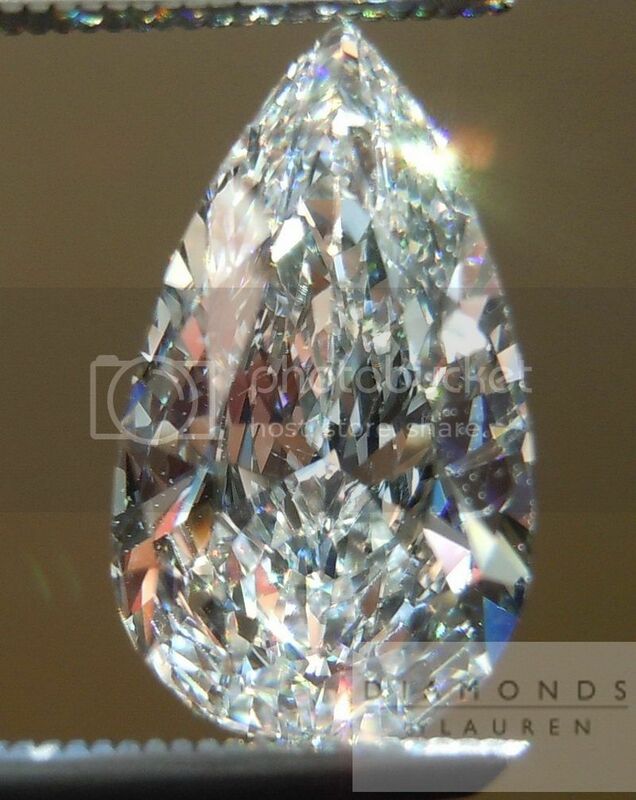 This diamond looks like a 2.50ct easy - the G color is extremely white and the VVS1 clarity is a hair away from an Internally Flawless Diamond.